Only four years since opening, KIMS Hospital has been rated ‘Good’ across all areas of its service by the Care Quality Commission (CQC). In addition, the inspectors found a number of areas of Outstanding practice across the hospital, including for their cardiac catheterisation laboratory which is part of the only interventional cardiology suite in an independent hospital in Kent. KIMS Hospital’s strong commitment to staff engagement including staff forums, team events, family fun days and the direct links staff have with the Executive Team through ‘KIMS Voice’, their staff forum where staff are encouraged to directly communicate their views, ideas and concerns about the hospital to the management team. 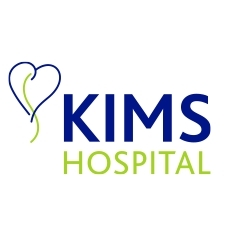 “As the largest independent hospital in Kent, KIMS Hospital is committed to a culture of continual improvement and development to ensure we achieve “Outstanding” across all areas of service. Building on our success to date and continuing to provide the highest quality healthcare services for local people is our priority.” Simon James concludes. Should all athletes be screened for heat problems?